Such is often the case in commercial real estate, once a development lands a major new tenant, more new businesses follow. And it's looking like that's the case behind a recently flurry of business activity at the Prairie Shopping Center, corner of US 95 & Prairie Ave. in Hayden. That major new tenant will be a new Panera Bread, the second location for the Missouri based chain in the Inland Northwest .It is already under construction on a pad site the formerly housed a Burger King until just recently. The Burger King was demolished and construction work began promptly on the Panera Bread. There is no set opening date for the new Hayden Panera Bread but it will likely be in either August or September and will feature both dine in and a drive through, similar to the one already open on E. Indiana in Spokane Valley. Beau Monde Exchange is an high end second hand women's clothing retailer that is moving to the Prairie Shopping Center from the Ironwood Square Shopping Center in Coeur d' Alene. Their Hayden will be their only location and will be basically the same as the store in Coeur d' Alene. Beau Monde Exchange plans to open for business at the Prairie Shopping Center on June 7th. They will be in space in-between Qdoba and the Walk In Clinic. Local business owner Cheyenne Potter is starting a new soda fountain in the shopping center along with some of her sisters. This new business will launch soon in Suite 105 by Java Hayden and The Local Deli and will be a throw back to the old school soda fountain concept. The menu will include old fashioned favorites like bull moose, dreamland sundaes and new " foodie " favorites like ghost pepper chocolates, egg creams, sundaes , milkshakes, ice cream cones and the list goes on. 1920's promises to be a unique dessert shop that should have a large following, they plan to make their own ice cream and all the soda's will be from the locally based Tractor Soda Co. which is owned by the owner's dad. The soda fountain is a work in progress right now but should be open for business sometime around late June. Junior's Barbeque will be a new fast casual style BBQ restaurant being started by another member of the Potter family, Travis Potter, Jr. who at only 19 plans to launch this exciting new restaurant in suite 85 at the Prairie Shopping Center, this is the same space as Wildcat Pizza and a few other small restaurants. Customers will be able to customize their order by choosing just about everything from a type of bread, to sides and even picking a meat, all with many choices. Tacos and salads will be available and guest will be able to choose from taking their food to go or staying in with one of 4 truck beds that will be in the restaurant. Junior's Barbeque will also serve Tractor Soda Co. soda's and organic custard. No mention of an opening date for Junior's but we will be checking up soon. While the majority of the news is very positive at the Prairie Shopping Center it must be noted that the Hancock Fabrics store, next to Sherwin Williams is following suit with the rest of that chain and will close up shop soon with going out of business sales already underway. No word on who may replace them. More space still available at the Prairie Shopping Center! New office building planned for the corner of Aero Rd. & Westbow Rd. Recently on Inland Northwest Business Watch I wrote a article about all of the construction projects in various phases at the I-90 Medical Lake exit on the West Plains. It's an area that sees a lot of construction and development, both from businesses and new homes. In that article you may recall a brief mention of a new office building, at the time we knew basically nothing, but now the details are coming across my desk and figured I'd share them with you. Un-leased office space is still available with the building being a listing of NAI Black. Space here is running $ 24 per square foot and is class A office space, ideal for medical office, both regular office uses are also welcomed. The Jensen Byrd Building is a currently vacant former warehouse that most anybody in Spokane either knows or at least has seen in passing. The building is currently owned by Washington State University, who's Spokane campus is only a short walk away from the building itself. It's been reported multiple times that WSU hopes to renovate the building, and this blog was one of the first in Spokane to share a first look at their plans back in March. But, since then those plans have obviously progressed greatly with marketing work is already underway for not only a renovated Jensen Byrd Building, but a full re-done neighborhood now being called the Jensen Byrd District! The Jensen Byrd District will be a HUGE step forward for Downtown Spokane if built out to it's full potential. Currently the area is a historic area with little activity other then a few WSU programs and some small businesses. But, the Jensen Byrd District would likely bring in a lot of new activity to this almost forgotten corner of the Lilac City. For those who don't know the building and the purposed Jensen Byrd District is just east of Downtown Spokane, north of Sprague Ave, and South of Trent / Spokane Falls Blvd. .
-Converting much of the current Jensen Byrd Building into office / commerce space, designed ideally for Tech Companies, Biotech, Life & Health Sciences , IT businesses and more. All of which could mean new higher paying professional jobs for Spokane. Plans are for the district as a whole to have over 150,000 square feet of new class A office space. -New retail / restaurant space , three of the buildings in the Jensen Byrd District are being marketed for some retail / restaurant space, including 30,000 square feet of retail space on the lower levels of the Jensen Byrd Building alone. Also, the nearby Pacific Fruit & Produce Building would keep it's historic shell but be replaced by several thousand square feet of new restaurant space. -A new parking garage to accommodate the newly boosted neighborhood . -Attached to the aforementioned parking garage would be space for a new 45,000 athletic club and then some more new retail space. -And, last but certainly not least plans call for adding a new 14,000 square foot roof top conference center to the top of the Jensen Byrd Building itself. The Conference Center would also have outdoor gardens, a full catering kitchen on site and a lounge. Of note however is just how huge and costly this plan is, because of this don't expect everything to open up overnight, in fact it will be built out in phases ( 2 phases currently ) .The contractor will be Lydig Construction building off of design work done by architecture firm WAG. Washington State University does still own the building and it will be developed by JB,LLC which is a partnership that McKinstry Spokane is a part of. Actual construction work could begin as soon as this fall, and construction would like continue on for several months as portions of the project would require a de-construction of the existing spaces as well as the actual build out. With this said, the wait would surely be worth it as this plan would bring new jobs, new businesses and new life to a large section of Downtown. One factor that is important to note with the plan for the new Jensen Byrd District is it's lack of a residential component . Despite it being located right in the heart of a prime student housing area none of the buildings include condo's , apartments or anything for people to reside. While a residential component would surely have been welcomed to keep people in the Downtown area, several new residential project are already underway just blocks from the site. 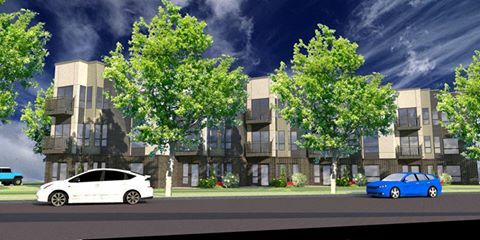 These include the 940 North apartment high rise , a purposed new apartment building along the East Sprague corridor where a car dealer sits today and even a purposed high rise, which may or may not be stalled, to be built over top of the former Auto Repair shop at N. Division & Trent. The Jensen Byrd website is an excellent resource for those hoping to establish their business in the new neighborhood . Leasing work is now underway via SVN Cornerstone Real Estate for all types of spaces in every building from the Jensen Byrd to a brand new four story building purposed to be built directly next door to the Jensen Byrd. In all the new district consists of four main buildings and three that are unrelated to the main project but still on the site ( WSU Vet , River Bank office building and the Ignite Northwest complex ) . We would love to know what you thing of this new Jensen Byrd District, is the wrong type of development or will become an important cog in the Spokane community? What businesses would you like to see go in there? The South Hill Brain Freeze Ice Cream will be very similar to the original location in Kendall Yards. It will highlight a selection of 24 flavors of locally hand made ice creams, in addition to a selection of espresso drinks using Anvil Coffee, which is also locally produced. For those wanting more of a meal Brain Freeze also offers a selection of delicious sandwiches which are made fresh . But, it's not just the South Hill store that is new for Brain Freeze Ice Cream. The business recently introduced a new Brain Freeze Ice Cream food truck that will visit local events and have a set location during certain days of the week. 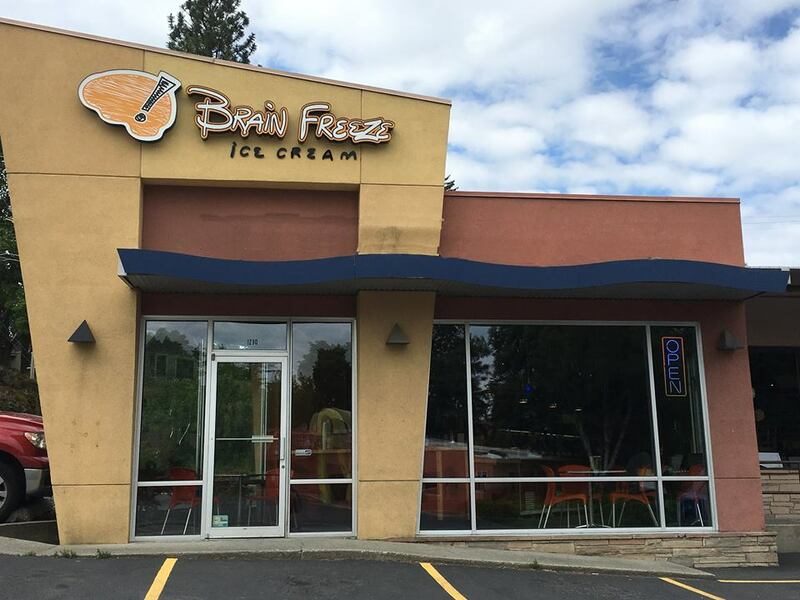 The new Brain Freeze Ice Cream Truck will set up shop outside of their production creamery location at 9514 E. Montgomery Ave Suite 23 in Spokane Valley . The new truck will be open for business there Thurs. - Sun. from 5 - 9 pm , unless they have another event scheduled at that time. The truck of course has a more limited menu then what customers will find in the South Hill / Kendall Yards stores. The paint n' sip art studio business concept has now been duplicated several times now in the Spokane / Coeur d' Alene area. But one business started it all here, and remains the favorite of most for their excellent professionally taught art classes , friendly staff and of course the wine & beer help too! Pinot's Palette is a actually a chain, with a local franchisee who oversees both the Spokane & Coeur d' Alene studios. And now due to the local franchises growth, Pinot's Palette Spokane will be relocating to cool new, larger space. The building they currently reside in was recently sold to Catholic Charities for and expansion of their services, but the owner of Pinot's Palette tells me they we're already planning on expanding / moving once their current lease expires. The new Pinot's Palette will open at 319 W. Sprague Ave. , a historic storefront right next door to the new Spokane Comedy Club. They hope to open the new studio sometime around the beginning of July. The new space promise's to be more spacious and will even include private party room for private events to be held on Friday & Saturday nights. The basis of Pinot's Palette will stay the same however with painting instruction and wine & beer ( many of which are locally produced ) perfect for most any occasion. 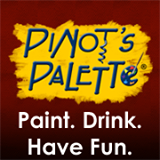 Pinot's Palette also will remain open at their location in Midtown Coeur d' Alene. That studio is located at 728 N. 4th Ave , in the same building as Kelly's Irish Pub. Construction continues to push quickly forward on the new building that will house Spokane's first Urban Outfitters store this fall. That building is attached to River Park Square and replaces an older building that housed a T-Mobile store and group of small local businesses. But, with all the hype surrounding Urban Outfitters it's easy to forget the clothing store chain won't be the only tenant of this modern looking building. On the back side of the new Urban Outfitters building is another tenant space, which was previously announced to be used by Spokane Teachers Credit Union. The credit union, which is more usually known simply as STCU , is working on relocating a branch from the nearby Crescent Court Building into this new space later on this year. But, now we are learning that STCU has worked out a unique arrangement for their new space. It has been announced that the popular local Rocket Bakery chain will share a portion of STCU's space, which faces Wall St. and currently closed former Downtown Macy's building. The new Rocket Bakery will take a portion of the credit union's 2,900 square foot space. All of Rocket Bakery will be on the ground floor of the new building and will feature both indoor & outdoor seating areas and a full menu of coffee, espresso , baked good and lunch items just like the other Rocket Bakery locations that can be found all around the Spokane area. STCU CEO Tom Johnson says the credit union and Rocket Bakery are good fit due to their cultural similarities. He also points out that STCU & Rocket Bakery are both perennial favorites in The Inlander's annual best of reader survey. 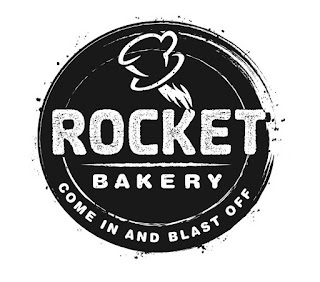 This will be Rocket Bakery's third Downtown location with other stores open at 157 S. Howard and 1325 W. 1st Ave, their flagship location is in the heart of Millwood on Argonne Rd. Neither STCU or Rocket Bakery have set opening dates for this new location just yet, however STCU continues to be open on the Skywalk level of the Crescent Court at 707 W. Main . 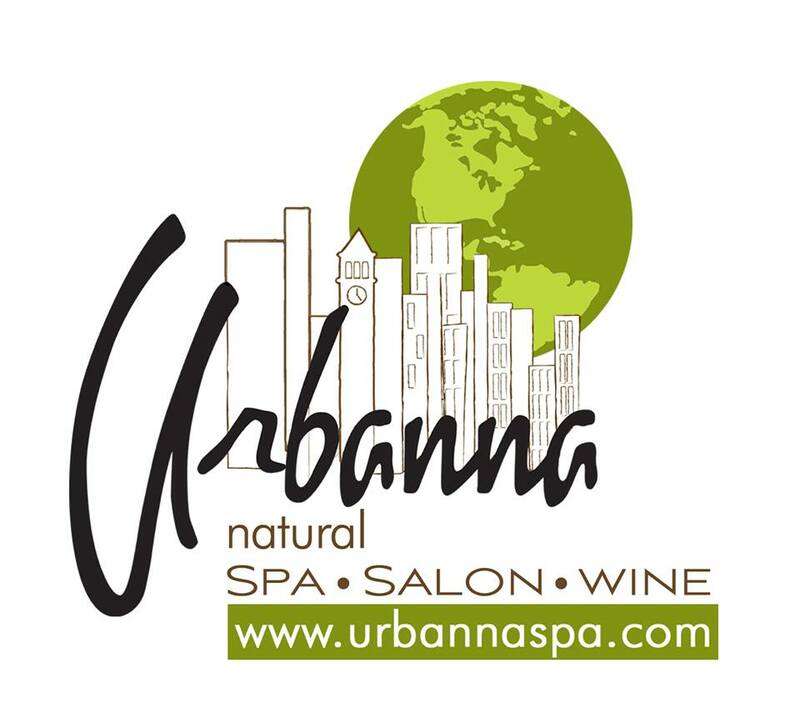 While Urbanna Natural Salon Spa & Wine won't be moving far, big changes will still be coming to the locally owned & operated business. Urbanna, which is currently located in the historic Pine Creek Dairy Creamery building at 168 S. Division, will move about a block to 104 S. Division into a space that is currently being remodeled for them and is equally as historic. The new location will open for business in early June and will offer up 8,900 square feet of space, which is 3,500 square feet more then what they have currently. The addition of extra space will allow Urbanna to add on an esthetics division that will offer consultations from board certified cosmetic and general surgeon Geoffrey Stiller M.D. and Botox / anti-aging treatments from Sarah Hamilton R.N. . These new services will be in addition to all of the regular salon & spa services offered today by Urbanna Natural Salon Spa & Wine. The business also has operated a small on-site lounge serving beer & wine for sometime now. The lounge will also move to the new location and will now also include a event room for groups of up to 20. This new event space would be a great addition for use by birthday parties, spa parties and the like. A catering option from a nearby restaurant is also being explored by the business' owners and a Enomatic wine system will also be installed to preserve wine for longer, preventing spoilage. Urbanna Natural Salon Spa & Wine has built a significant following of loyal customers and boasts an amazingly low turnover rate amongst it's employees ( 40 employees in all ). The new location will also allow the business to hire on 5 additional employees, creating new local jobs. Iron Mountain ,Inc. , a publicly traded , Boston based secure document services company has recently completed the move and major expansion of their facility here in the Spokane area. This new Spokane service center will replace a smaller Iron Mountain facility that had been on W. Hallett Rd. nearby the I-90 Medical Lake exit. The new facility is still on the West Plains, but will now feature 40,000 square feet of space and a total storage capacity of 416,000 cubic feet. The center is more efficient and slightly closer the Spokane and Spokane International Airport at 4330 S. Grove Rd. Iron Mountain offers several secure document services including shredding , on site imaging and record storage. This new location joins a large network of 1,350 other Iron Mountain facilities in 45 different countries around the world. The company mentions Spokane as being one of the fastest growing markets in the Northwest for being a prime reason for the local investment. Two former barbers at Headhunters Barber Shop in Northtown Mall , and one of their wife's have branched off and started their own locally owned and operated barber shop called Classic Cuts at 2311 N. Monroe . 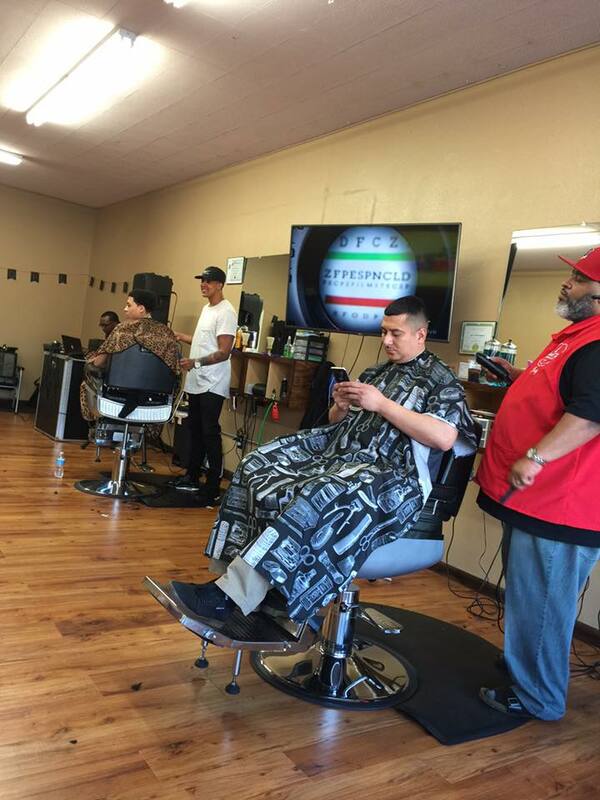 The barbershop is roughly 1,000 square feet with TV's on the wall's and friendly faces waiting for both walk in and customers with appointments. Classic Cuts is open Tues - Fri 10 -7 and Sat. 9 - 6 . Some appointments are also taken outside of this timeframe. Brickyard Barbershop is not open for business just yet, but they do have a building, which they are completely remodeling for use by the new locally owned & operated business. They also have started a Kickstarter , which is still open and is now over it's original goal amount. Brickyard Barbershop will actually also be located on N. Monroe ( exact address not given ) and construction work has already begun. Plans call for returning the building to it's historic nature and giving it enough space for up to 6 barbers to work together. There is no set opening date as of yet, but their Kickstarter page indicates they are hoping to open Brickyard Barbershop sometime in June.
" The feel of a straight razor shave, the smell of bay rum aftershave and a classic cut crafted by an expert "
It does add up as Popeye's Louisiana Kitchen restaurants have been expanding aggressively lately and opening in our general region. TV news reports from Montana are of a new Popeye's opening on Reserve St in Missoula and elsewhere. West Spokane's former Spokane House hotel is now back open with an all new look and branding. The hotel is now known as Red Lion Inn & Suites Spokane and is the third Red Lion branded hotel in the Spokane market area. But, that is old news since it officially opened a few months ago. Today's news surrounding the new hotel involves an event that occurred during the hotel's renovations. The Washington State Attorney General is now actively charging the hotel owner's 2013 Investments with illegally disposing of asbestos that was in the hotel building prior to the renovations. The Washington State AG says 2013 Investments , who is made up of Dayabir Bath , his nephew Gee Grewal and a John Hickson , had the asbestos removed without obtaining proper permits with the City of Spokane. In fact one Spokane Clean Air Agency employee even reports seeing piles of debris that likely contained asbestos siting outside in 43 mph winds putting workers and hotel neighbors at risk. Also of note in the case against 2013 Investments is a building permit that was filed with the City of Spokane for only replacing, painting and texturing drywall, although it was reported more extensive renovations we're already underway at the time of filing. All three partners in 2013 Investments will face 3 charges of violating the Washington Clean Air Act and one count of reckless endangerment. 2013 Investment member Gee Grewal will also face one count of making false statements to a public servant. Each count carries a maximum of 364 days in jail and/or $5,000 in fines. The case is still ongoing and these are only charges, a 3 are innocent until proven guilty. The bakery is still owned and operated by the same couples behind Clover, but the name and size of operation have changed drastically. The bakery, which originally was in a 800 square foot outbuilding on Clover's property has been re-named Bellacrosta Bakery & Fine Foods and just recently completed their move to a former equipment rental store's building at 315 S. Dishman Rd. in Spokane Valley. The new Spokane Valley location is a 3,000 square foot operation that sadly is only used for production and will not be open to the public. It's designed to be used to service the future storefronts and their wholesale accounts, one of which remains the Clover restaurant. Also, the new business hopes to begin online sales in the near future. But the public won't have to wait long to try Bellacrosta's large line up of breads, pastries , cupcakes , cakes and more. This as the first of several planned Bellacrosta storefronts is already in the works and will open for business sometime this Summer. This first store will be in Liberty Lake at 1235 N. Liberty Lake Rd. Suite 109 ( same plaza as Yoke's ) . 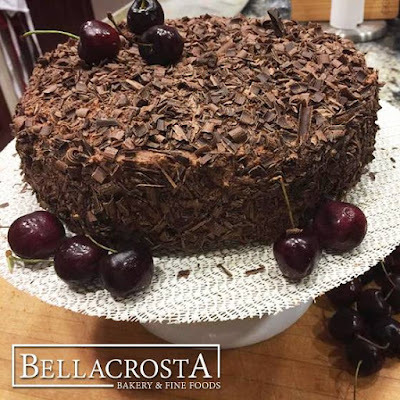 It will sell all of Bellacrosta's breads and baked goods, but also salads, soups and sandwiches in a quick service format. We hope to learn more on the Liberty Lake Bellacrosta Bakery location as that opening gets closer. The business owners also plan to open one more retail location before the end of 2016 and more shortly thereafter . Possible future locations of Bellacrosta Bakery & Fine Foods include Kendall Yards, Downtown Spokane, South Hill and North Spokane. One of the newest business & industrial parks in the Inland Northwest is about to be home to a couple of new tenants, one of which will likely open for business this fall. The center itself is a 140 acre campus, along 6th St. & Cedar Rd. just west of the Deer Park Municipal Airport, Eastern Washington's third largest regional airport. The site opened during the Summer of 2015 and offers abundant land and a prime location near US 395 and only 15 miles away north of Spokane. The first new tenant to set up shop in the B&I center will be Knight Construction & Supply who is building a new building on land there ( 2401 E. Sixth ) . The company's new building will be a 30,000 square foot structure with manufacturing , warehouse and office space all under one roof. They plan to move their operations here from a smaller quarters further south on Cedar Rd. Knight Construction deals primarily with government construction work including bridges and fish hatcheries. The company also is the parent company to two smaller businesses which will also set up shop in the new building. Those two businesses are Knight EZ Dock and Knight Wall Systems , both of which are manufacturing operations. The Knight building should be complete by this fall. Another tenant is also signed on to the Deer Park Business & Industrial Center. That tenant is Avista Utilities who is in the planning phase of a 30,000 square foot service center to serve Deer Park & Northern Spokane County. 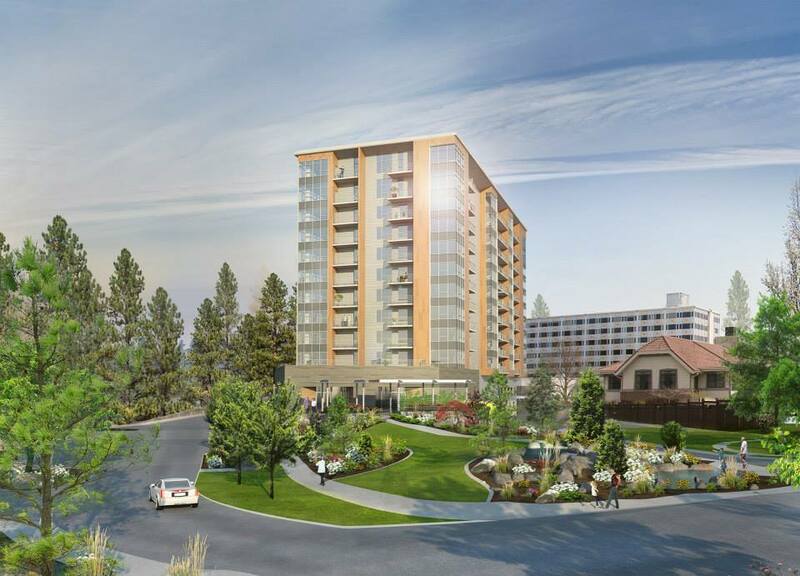 We'll likely have more on Avista's developments there as they advance. Additionally more land remains available for most any business, lots are being sold by the land owner, The City of Deer Park. A Western Washington based businessman is about to take a chance on one of Downtown Spokane's most notorious eye sore properties. A developer based out of Renton is in talks to purchase, re-do and re-open the former Tradewinds Motor Inn at 907 W. 3rd on the South side of the Downtown area. The hotel will be re-open with the branding of a national hotel chain, but will retain much of it's history and look, just without all the issues it has today. The Tradewinds Motor Inn closed about 5 years ago after several years of operating as an apartment building for low income individuals. The neglect on the property was evident even before closed it's doors. Since closing down the Trade Winds has been hit by vandals, squatters and even did a cameo in the Spokane based zombie themed Z Nation TV show on the SyFy TV Network. But if this sale goes through hope and life will likely return to the property, which is visible from I-90 and an easy drive from most of Downtown's shopping and entertainment destinations. A full renovation is planned for the entire property to allow it to re-open under the Howard Johnson hotel brand by Thanksgiving this year. Much of the hotel will stay the same just with modern upgrades and clean up's. The only planned change is removing the outdoor pool and replacing it with a children's water feature. The hotel contains 60 guest rooms and a surface parking lot. This will be the second hotel construction project to hit Downtown Spokane, as a Spokane Valley based developer is in the construction phase of building a new Hampton Inn nearby Sacred Heart Hospital. Another new financial institution is about to enter the Spokane market, opening with not 1 but 3 new branches. That institution is Alaska USA Federal Credit Union , an Anchorage based credit union who already has many locations in the lower 48 including some in Arizona, California and Western Washington. Northwest Spokane - 2507 W. Wellesley Ave.
University District - 933 E. Mission Ave.
Alaska USA Federal Credit Union will be full service branches and will be open 7 days a week. The credit union operates with $6.34 billion in total assets and 500,000+ members. Membership is open to everyone and they will likely start signing up new members in the Spokane area soon as the branches will all open by the end of the month. Several construction projects underway by I-90 Medical Lake exit. New Starbucks on Aero Rd. A new Starbucks Coffee location is under construction and should open within the next couple of weeks on the north end of the Petro Truck Stop property on Aero Rd. . This Starbucks will have both a drive through and an indoor seating area for up to 40. New Speedco Truck Lube on Westbow Rd. A growing chain of lube & tire repair shops geared towards semi trucks called Speedco will be wrapping up in the coming months on Westbow Rd. by the Super 8 Motel, about 1/4 mile south of the freeway exit. The new Speedco store will be their first in the Spokane area and will be about 11,000 square feet. Not much is known yet, but a construction will start in a couple of months or so on a new 12,000 square foot medical office building at the corner of Aero Rd. and Westbow Rd. . Some space will be available for lease, but two dental tenants are already signed on to open for business there. The two tenants will be West Plains Dental and KidSmile Dental. Planning work continues for STA's new West Plains transit center. Although the original plan has been changed , Spokane Transit Authority is planning on using a large vacant lot on Westbow Rd. behind the Fairways Shopping Center for a new transit center connected directly into I-90 with a large park n ride parking area. Under the current plan STA's West Plains Transit Center will feature 190 parking spaces, 2 passenger loading platforms , shelters and bicycle lockers. Early construction work has started with fences surrounding the site of Kendall Yards first medical office building. 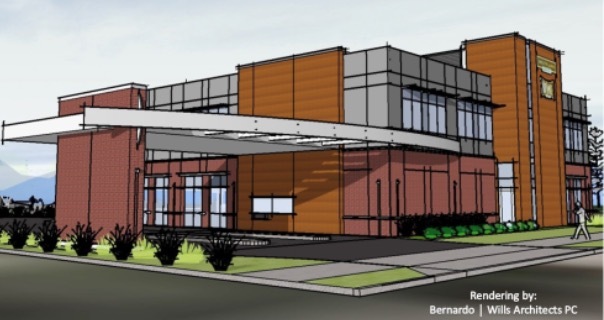 The planned building will be just feet away from the main Kendall Yards business district at the corner of Jefferson & Bridge Ave ( 546 N. Jefferson Way ). .
- Providence Medical Group - Who will lease space on the first floor for a new " primary care " clinic. - Columbia Medical Associates - Columbia will lease space for more then a dozen primary care providers, sports medicine professionals and behavioral health providers. Additionally a entire floor of medical office space remains available for lease, but may be filled before the building's opening date. The building is being developed and will be continue to be owned by Liberty Lake based Greenstone Commercial, who is also the developer for the rest of the trendy Kendall Yards development. This is actually just one of few new projects in the works currently at Kendall Yards. Including a new traffic light at the entrance on N. Monroe, a new mixed use building in-between The Inlander & Veraci Pizza's buildings, Elm St. Condo's and more. The business, which is called The Lilac Shop , will be one of Spokane's first " pop up " style retail stores, this one opening for only one month. The Lilac Shop will open today at 5pm for their grand opening celebration and stay open till the end of the month of May. The Lilac Shop will be open on Thursday, Friday & Saturday from 12 pm - 6 pm , and the grand opening will be tonight from 5 pm - 7 pm . The Lilac Shop is located at 2209 N. Monroe , in the building just north of W. Mansfield Ave. . Visible for blocks around, The Summit tower at the South Hill campus of Rockwood Retirement Communities ( 2903 E. 25th Ave. ) will soon be complete full of life with dozens of apartments, common areas and even restaurants . 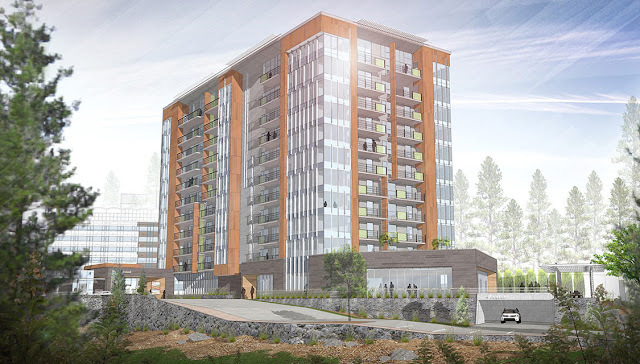 It's 11 floors and will feature 64 apartments with an underground parking structure and built next door to it's lower in height counter part " The Ridge " an older 8 story senior housing complex with just shy of 100 apartments. The Summit Tower recently opened it's ground floor ( which is mostly common areas ) and will begin opening the higher floors in ascending order as they are completed, which will occur over the next couple of months. The new building, while not the tallest building in Spokane ( Downtown's Bank of America Tower holds that honor ) it still boasts great views sitting higher then the Downtown high rises on the South Hill . This also makes The Summit visible for a greater distance, in fact the tower can even be seen on the horizon along I-90 near the Broadway & Sprague Ave. exits. Apartments in The Summit range from 900 square feet to 1,970 square feet with the top two floors considered penthouses with units there ranging from 1,050 square feet to 2,210 square feet. Residents of The Summit will also be able to take advantage of all the many amenities available on the Rockwood South Hill Campus. Residences of both housing towers and the rest of the South Hill Rockwood Retirement can use the restaurants under their dining plan. Other features of The Summit at Rockwood include an art studio, event and meeting spaces, library, business center , fitness center, theater, salon / spa and more. Leasing work continues by Rockwood, but many the units are already pre-leased . Once a controversial topic because it caused the demolition of two historic homes, the newest apartment complex in Browne's Addition is only a couple of months away from having people moving into the residences. The building, which now stands at the corner of 3rd & Coeur d' Alene has three floors of rental units, 21 units in all. The building is being constructed for owner , Kettrick Properties, LLC of Seattle with design work being done by Fusion Architecture of Liberty Lake. The project also includes an underground parking structure. Construction continues at the site today, but should be ready in June with some pre-leasing work going on now. Leasing of the apartments is being done by Goodale & Barbieri and will consist of studio , 1 bedroom and 2 bedroom apartments . The units rent for between $850 - $1750 per month and offer a quiet location in Browne's Addition while being only blocks west of Downtown Spokane. Sports Authority to close stores in Spokane, Nationwide. Over the last weekend Englewood,CO. based sporting goods chain retailer , Sports Authority , announced the plan to liquidate and close down their remaining locations. The comes a negative news for the long struggling company who had originally planned to close only a portion of their store and re-structure the rest . It is also negative news for the Spokane / Coeur d' Alene area the chain currently operates stores in Spokane, Spokane Valley & Coeur d' Alene. There is no set final day of operation or information about how many jobs will be lost in our area. Another point of bad news from the Sports Authority closures is in Coeur d' Alene area . The store there sat in anchor space for the not so busy Silver Lake Mall and the mall might have issue refilling the large anchor space. No news about what businesses might replace any of the Sports Authority store spaces here. It's official , the national trend of " blow dry bars " has hit Spokane with the recent opening of Shine Blow Dry Bar at 2819 E. 27th Ave. nearby the Lincoln Heights Shopping Center. Shine Blow Dry Bar does only hair styles and advertises " No cuts , no colors, just fabulous blowouts " . 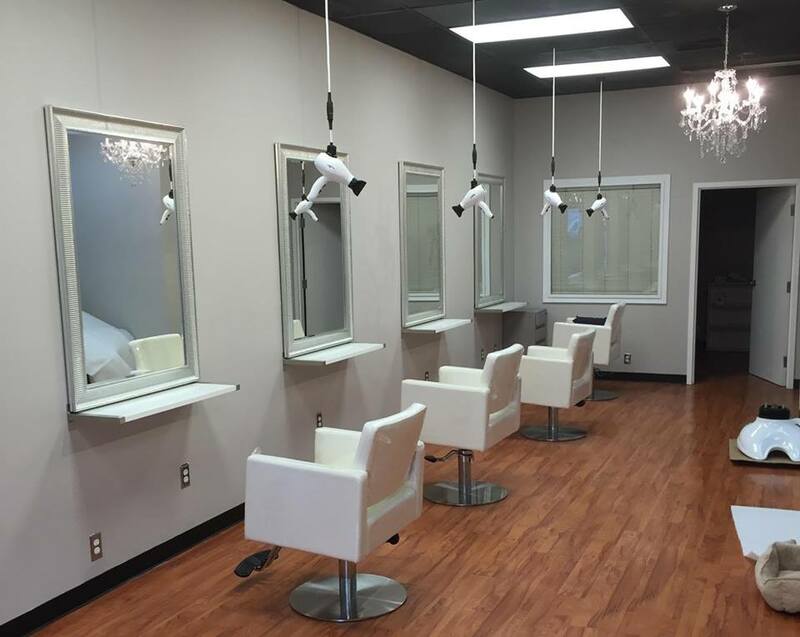 The business features a Freestyle System of "weightless" blow dryers suspended from the ceiling at each station. Shine also carries the Kevin Murphy line of hair care products to complete your new look. Each session is 60 minutes and includes a shampoo and beverages are available, including adult beverages like wine, champagne and mimosa's . The business is open six days a week and can be reached by phone for appointments at 509-315-9050. What is going into the giant construction site on Indiana Pkwy , near Flora Rd ?!? Bella Tess Apartments will be feature 13 three story apartment buildings, each with about 36 apartments each. This equals out to be just shy of 400 apartments ( 396 ) , and the project will also include smaller buildings for garages and a clubhouse building. The area seems to be prime for multi-family housing as another apartment complex, the River House Apartments also opened their large complex just recently across the road from the Bella Tess site. Construction on Bella Tess will be done by the local firm Diamond Rock Construction, with no estimated completion date as of yet. We will keep an eye on this project for more on the actual apartments and the complex features in the coming months as construction progresses. Also of note is the construction site has caused some road construction in the area, this is for some road modifications and utilities' and from what we understand should only last for a couple of months.